If a student’s academic performance is low, who to blame – educators, parents, or children? Usually parents send their children to schools and are not engaged in the schooling process of their children. Later students get low grades which is not only the children’s faults, but teachers’ and parents’ as well. There are several barriers parents can not overcome to get involved in studies of their children. First, these days adults are busy with their jobs, and children are under less control and attention (Caplan, 2000, as cited in Project Appleseed). Second, teachers do not try to attract parents to schooling process, because they are already overloaded and working with parents of their students seems to become extra work for them (Caplan, 2000, as cited in Project Appleseed). Moreover, educators misperceive parents’ abilities and think that parents are unable to help their children with their homework, for instance, because they have limited educational backgrounds (Caplan, 2000, as cited in Project Appleseed). Next, some parents, because of their own unpleasant experience t school, have negative attitude towards schools and feel themselves unwelcome and uncomfortable at schools (Jones, 2001; Caplan, 2000; Liontos, 1992, as cited in Project Appleseed). All these barriers result in tension in relationships between parents and teachers; and when children are in upper grades, it becomes more difficult to involve parents. Nevertheless, what could we gain, if children’s parents were involved in the schooling process? According to Caplan (2000, as cited in Project Appleseed), students’ success at school is directly connected to family involvement in their studies, because if a parent shows interest in his or her child’s studies, the child gets motivated and gets interested in his or her studies as well. Moreover, students who experienced family involvement in their schooling process tend to get higher test scores and are more likely to be enrolled to Higher Education Institutions (Riggins-Newby, 2004; Norton, 2003; Caplan, 2000; Binkley et al., 1998; Funkhouse and Gonzalez, 1997, as cited in Project Appleseed). Undoubtedly, when parents are involved strongly, they get to understand what is being taught and learnt, which overcomes tension between parents and teachers and leads to a strong cooperation between them. The USA has a non – profit organization which seeks to engage parents in schooling of their children. It is worth mentioning that all parents supporting the project are volunteers and there is no mandatory work done. The project named Project Appleseed focuses on low – income and undersaved families of public schools of America. They attract parents in the schooling process through cooperating, communicating, providing opportunities for parents to formalize their commitment to working with their children, or in other words, Project Appleseed provides parents with needed resources to help their children with their schooling. So, do you think that this kind of project is applicable to Kazakhstan? Could we organize some special project for the parents of Kazakhstan to get them involved in the schooling process? Kazakhstan is a multiethnic country. In Kazakhstan, no nation’s language is restricted or prohibited to learn, which is noticeable from support of the government that allows learning and teaching those languages even in social minorities. Today, one of the most important aspects occurring in the Kazakhstani society of economic and social modernization is language policy. The President, Nursultan Nazarbayev, pays much attention to this part of state policy and proposed a unique project initiated – the trinity of languages (President’s Speech, 2004, as cited in Burmistrova). From that moment and on there started a new language policy of independent Kazakhstan, which is still being implemented and needs a lot effort to work on. In order to analyze the current situation in Kazakhstan, I decided to compare our country with 2 more countries – Hong Kong and Singapore that have multilingual policy. Kazakhstan, Singapore, and Hong Kong are post – colonial countries, so there must be some similarities and interconnections of educational policies and post – colonial effects on language policy. Kazakhstan, Hong Kong and Singapore are all post – colonial countries, where Hong Kong and Singapore appeared to be under British Colony, and Kazakhstan is a post – soviet country. Singapore and Kazakhstan could easily get their sovereignty, whereas Hong Kong was recolonized rather than decolonized (Tan, 1997). Singapore and Hong Kong got English as a post – colonial language, which is still present in their language curricula, while Kazakhstan was influenced by Russian language dominance, which also appears in current practice. Singapore is a trilingual country, where English is the first language of the country (Chua, 2010). In Singapore “English language functions as a meritocracy to provide equal opportunity for all Singaporeans to succeed without being advantaged or disadvantaged by their native languages” (Chua, 2010). And MTL, i.e. Mandarin for Chinese, Malay for Malays, and Tamil for Indians are the other languages of the country. This differentiation and division is the impact or influence of British colonialism – they were divided this way during the colonization period as well (Chua, 2010). Although the majority of the population of Singapore are Chinese, nowadays the performance of students in Chinese is low, since the demanded language is English (Chua, 2010). So, it is obvious that the role of mother tongue is low in Singapore. Hong Kong as a state also has a trilingual system of education, which are Cantonese, Putonghua, and English. Cantonese is the mother tongue of the state, and government policy is trying to foster it through primary school education as the medium of instruction (Kirkpatrick & Chau, 2008, as cited in Wang & Kirkpatrick, 2013). Putonghua and Chinese are varieties of Chinese language, but they differ in syntax, lexis, and phonology (Pierson, 1992, as cited in Lai & Byram, 2003). In spite of having trilingual system of education, Hong Kong, as Kazakhstan, is poor about its policy (Wang & Kirkpatrick, 2013) – they do not have clear policies for the implementation of trilingual policy in the state system of education, and there are no clear guidelines. However, both states’ stakeholders are in favor of implementing trilingual system of education (Wang & Kirkpatrick, 2013). Kazakhstan, in comparison to Hong Kong, is aimed to practise Kazakh as a state language, Russian as a language of communication, and English as the language to integrate into global community. However, what makes these states similar is the lack of clear policy guidelines, which need to be enhanced. Having compared and analyzed trilingual policies of Singapore and Hong Kong, it deserves saying that no other country can copy a system of education of another country and implement in its state. Every step and policy must be adopted due to cultural, ethic, geopolitical, sociopolitical contexts of the country. Singapore and Hong Kong are quite similar in some cases, but not totally. As the recommendation we could enhance mother tongue education in Kazakhstan from the practice of Hong Kong, and let the majority citizens choose what language to study as a medium of instruction. However, Singapore’s example of similar policy for everybody makes us think about the success they achieved through this policy. I hope that Kazakhstan is already trying to implement the best of practice all over the world. However, the lacking part is clear guidelines, which is again from the practice of Hong Kong may lead to significant problems. Policy guidelines of trilingualism must be enhanced and developed for better. post – colonial influence is not always a disadvantage. Chua, S. (2010). Singapore’s language policy and its globalised concept of Bi(tri)lingualism. Current Issues in Language Planning, 11(4), 413-429. Lai, P., & Byram, M. (2003). The Politics of Bilingualism: A reproduction analysis of the policy of mother tongue education in Hong Kong after 1997. Compare: A Journal of Comparative and International Education, 33(3), 315-334. Tan, J. (1997). Education and Colonial Transition in Singapore and Hong Kong: Comparisons and contrasts. Comparative Education, 33(2), 303-312. Wang, L., & Kirkpatrick, A. (2013). Trilingual education in Hong Kong primary schools: A case study. International Journal of Bilingual Education and Bilingualism, 16(1), 100-116. Multilingual graduates are more competitive, aren’t they? Now it is the era of creative, open – minded, and competent individuals. Most of the people want prestigious jobs, high salaries, and big opportunities. But what criterion is heavy and one of the strongest in getting and achieving all that? The answer is being multilingual. 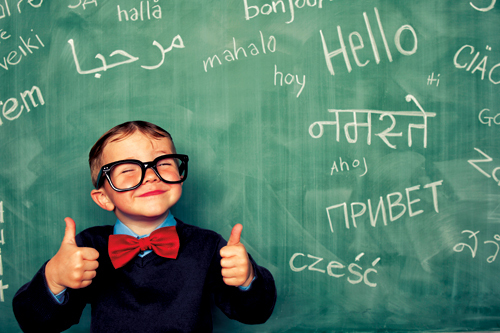 Being multilingual means being able to speak two and more languages. And if you think that learning languages is a waste of time, you are mistaken and judging erroneously, just because of one simple reason – because “jobs requiring multilingual employees pay between 5% to 20% more per hour than the base rate” (Papora, 2013). So, why? Is that only because the employee can speak several languages? No, it’s not! Because being multilingual at a workplace you can challenge your employer with a lot of opportunities. 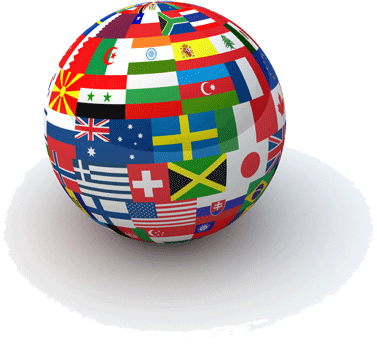 First, being multilingual at a workplace means “being international” (Papora, 2013), it means that you can help engage and attract international clients, investors, and cooperators. Second, you “become an asset” (Papora, 2013) to a company, which means that you will be able to keep the company up – to – date and compare and analyze the status of the company at an international level – sharing ideas of international workplaces and challenging your company to go with the times. Third, knowing other languages means thinking differently, so you become a source of “new perspectives” (Papora, 2013) for a company. You will encourage your company with new ideas and opportunities thinking from different angles and perspectives, with the help of which your company will just win, but not lose. Finally, being multilingual you will be ahead of anyone who is monolingual, because you become a “global workforce” (Papora, 2013) and can get a job anywhere. So, aren’t we lucky to have the opportunity to speak at least three languages? According to Trent (2013), knowing other languages is challenging, but it worth pursuing, since it is easier to forget a language learnt for years than to acquire it fully. Long ago lecturing, demanding rote learning, assessing for memorization of certain facts were the techniques teachers used during their classes. BUT time is changing! Nowadays educators seek to develop critical thinking skills in their students. In “Strategy 2050” the President of the Republic of Kazakhstan mentioned that all developed countries have top quality educational system, which is a key description of the 21st century developed country (State Programme 2011-2020). In order to achieve that, students of schools must acquire critical thinking, self – research and deep analysis of information skills (State Programme 2011-2020). Consequently, development of critical thinking is an at-time criterion for a developed country of the 21st century. According to Sam Fairclough, a history teacher at Le Rosey, Switzerland, these days it is more exciting, interesting, and challenging to discuss relevant issues during the classes rather than following textbooks (Welham, 2015). He supports his idea by the fact that students are different these days: they know that they have to respect other students’ thoughts, and while giving their own ones support their ideas with reasons – this makes them different. Students do not tend to follow pre –existing thoughts and opinions, but have their ones and reasonable supporting answers for that. He even predicts the future of teaching as making students think broader, but not making memorize facts (Welham, 2015). In conclusion, critical thinking is not just evaluating the information given, but being able to analyze, interpret, evaluate the given information, and produce your own reasonable position and thoughts. So, how, do you think, the development of critical thinking is progressing in Kazakhstan? MESRK (2010a), State Program for Education Development of the Republic of Kazakhstan 2011-2020, Presidential Decree No. 1118 of 7 December 2010, Ministry of Education and Science of the Republic of Kazakhstan, Astana.